Lower the risk of injury with our concrete contractors. Your pool should be an enjoyable refuge — not a dangerous obstacle course. Mix water with uneven, sloping, or cracked concrete, and it’s a recipe for disaster. 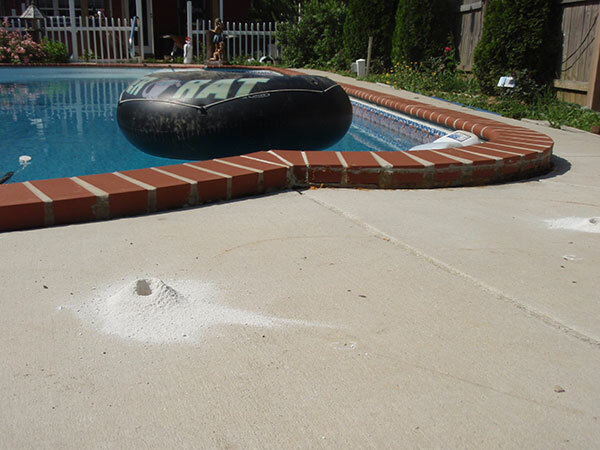 If your pool deck is a tripping hazard, then A-1 Concrete Leveling and Foundation Repair can help. Our concrete contractors will level the concrete and repair cracks that will improve property value and vastly improve your satisfaction and safety. Contact us today for a free estimate! Your pool should be all about relaxation, time spent with family and friends during a pool party, getting your daily workout, or just floating and soaking in the sun. 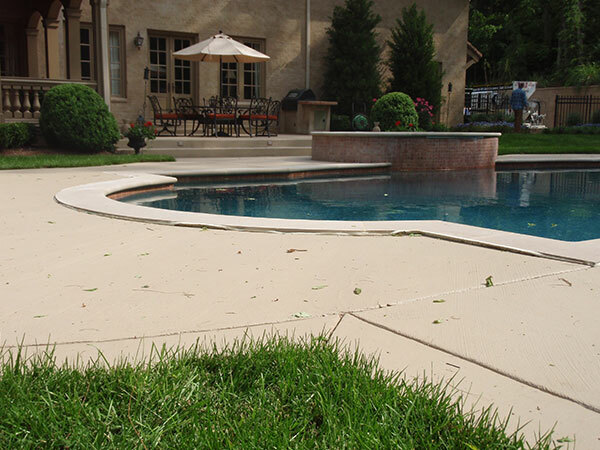 Your pool should be an oasis of calm, and that calm can be ruined by cracks or uneven areas. 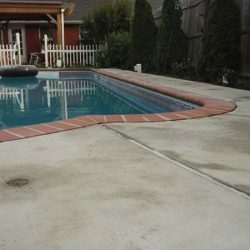 Not only does it take away from the beauty of the pool, but uneven slabs can cause serious injury from slips and falls. 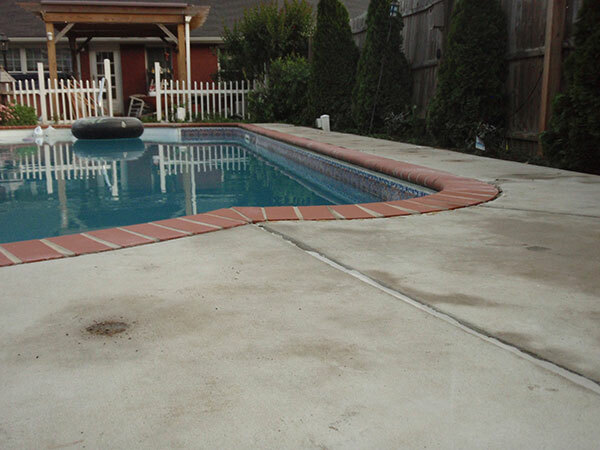 At A-1 Concrete Leveling, we know how important your pool is to you. We’re the only real choice in Nashville and surrounding areas for concrete leveling and repairs. 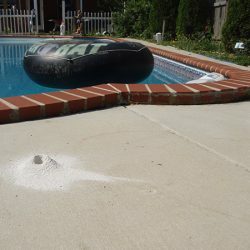 When a pool is installed, many times the backfill material is not compacted enough, resulting in the materials settling after 10 or so years. Sometimes there is enough soil to keep the pool deck from dropping, sometimes not. After the soil has settled, the deck will settle as well because there is no adequate support. The deck may settle slowly over time or it could drop significantly all at once. 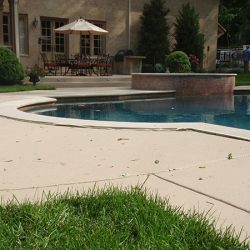 Some pools have cracks or have lost a lot of pieces and simply needs to be replaced. However, if the concrete is still in good shape, then leveling is a viable and less expensive option. Ignoring deck settlement is never the answer as trip hazards can develop and put your family at danger. Do the right thing and give us a call today!